So you want to sell your home? Luckily, in the market we’re in, selling your home shouldn’t be too difficult, especially if it’s one of these beauties here in Columbia. However, even though finding people who might be interested isn’t going to be difficult, selling your home for a worthwhile price is going to be a bit more difficult. One of the best things that you could do to make sure that your home is bought for close to or at the listing price is to make sure it looks worth the cost. Unfortunately, a total remodel is going to be expensive, and what’s the point if you’re going to move out anyway? The good news is that you don’t need a total remodel, and sprucing up bits and pieces could take a home from zero to 100 really fast. One way: painting. Here are the rooms and places you should focus on first. The front of your home is the first thing that people see, so you’re going to want to tend to that first. Start with pressure washing to get rid of all of the dirt and grime and then start painting. 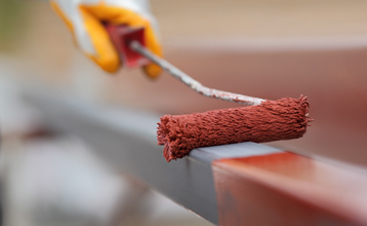 A professional exterior painter is going to be your best bet if you want to really impress potential buyers. 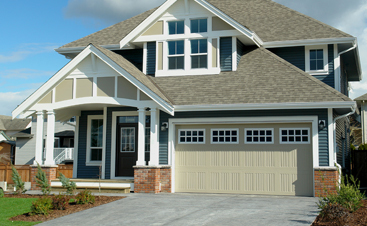 Make sure to schedule exterior painting before you schedule showings and take professional photographs. Clean, smooth paint indicates that the home is well tended to and will make for an excellent first impression—get it right the first time! The kitchen is the hub of the house! Here, people will cook dinner for their family, bake cookies for bake sales, and brew their morning coffee. Repainting the kitchen with a bright but neutral color, like a light gray or white, will give the room a clean look. Cleanliness is especially important in the kitchen, and a quick professional painting job can lead to a stunning transformation. When readying your home for showings, you should take into consideration why people are looking for a new home. Usually, it’s either because they have a family or want to start a family. In the main room, families will entertain themselves, watch movies together, play board games, and take holiday photos. Appeal to their emotional side by repainting the room in a color that’s inviting and friendly. Warmer colors, like creams, are perfect for main rooms. 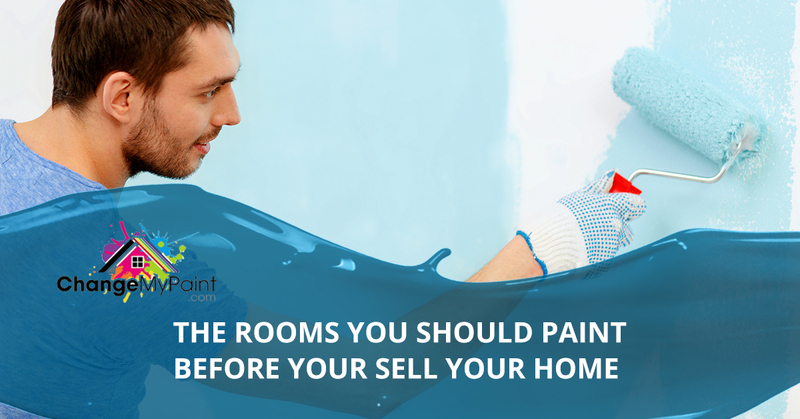 Make sure to schedule a professional painter, though, because messy work will have the opposite effect. A fresh bathroom is essential. After years of use, the paint or wallpaper has probably faded or sustained some damage from water and shower steam. Because the paint is so surrounding, even the smallest bit of wear is going to make a bad impression. A fresh coat of paint could make a huge difference. Don’t miss out on a bigger sale just because you neglected something as simple as painting. Change My Paint specializes in both exterior and interior painting in homes in South Carolina. If you need a professional painter, contact us today for an appointment!